Description: 215 pages. 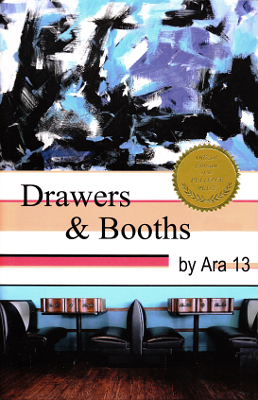 "Beginning as a modern military civil affairs action, Drawers & Booths spirals into a metafictional journey, testing the boundaries of reader and author, narrative voice, and characterization--the wrapping for Ara 13's satirical analysis of morality in light of evolutionary psychology." Viewed: 2,728 times since March 23, 2012.